Give American televangelist and prosperity preacher Joel Osteen three minutes of your time and he just might change your outlook on life. But change doesn’t come without consequences. New research out of the University of Toronto’s department of psychology in the Faculty of Arts & Science suggests that exposure to prosperity gospel messaging – thinking God wants you to be wealthy, prosperous and donate money to the church – makes you more likely to show an exaggerated and unrealistic sense of optimism for life and take more financial risks. “Our findings show that participants said they’d likely experience more meaning, financial success, wealth and job stability compared to others after viewing a prosperity-related message,” said Nick Hobson, a former U of T PhD candidate and lead author of the study. Hobson, who is now the director of science at coaching service Psychology Compass, Geoff MacDonald, a professor in the department of psychology, and Juensung Kim, a PhD student in developmental psychology and education at U of T's Ontario Institute for Studies in Education, studied the impact of prosperity gospel messaging on psychological functioning – an area Hobson says is still largely unknown. “While we know quite a bit about the psychology of religion and religious belief in general, the prosperity gospel is unlike many of the dominant religions that tend to be studied by psychologists,” said Hobson. Prosperity gospel – often touted as one of the fastest-growing religious movements in America – centres around the idea that material blessings are part of God’s will. This means its teachings put financial prosperity, material wealth and ministry donations above all else. Coupled with demonstrated positive thought, prosperity gospel has the ability to introduce intense positivity and optimism in its believers. “In other words, it sort of primes people to want to part with their money by making them excited and optimistic,” said MacDonald, co-author of the study. And because of the success of prosperity gospel messaging and its continued rise, Hobson saw the importance in studying the psychosocial effects the movement has on individuals’ mental functioning and well-being. 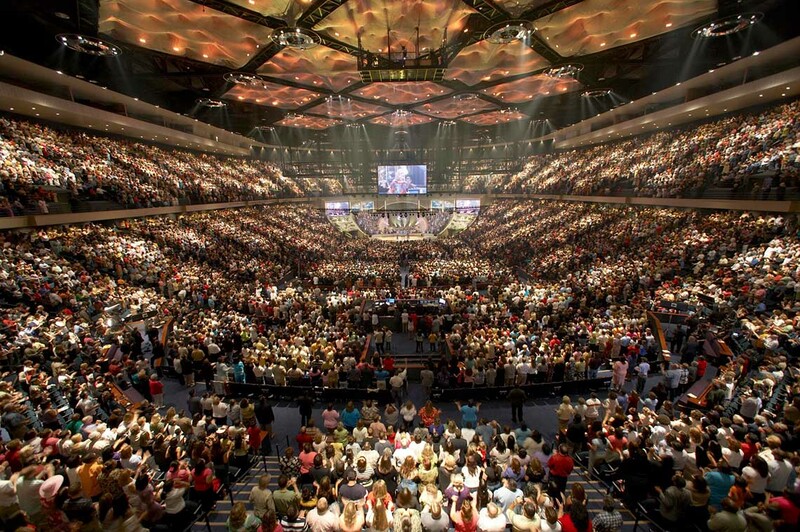 Using two three-minute clips taken from Joel Osteen’s sermons – whose Houston-based Lakewood Church sees more than 50,000 attendees per week, with millions more viewers online – Hobson and the team of researchers randomly assigned one of the two clips, one with prosperity messaging and one without, to study participants and asked them watch it. Afterwards they rated their level of optimism for the future on a scale that ranged from “much less/worse than others,” to “much more/better than others” – with anything more than “equal to others” suggesting the participant was unrealistically optimistic. The research published in the journal of Psychology of Religion and Spirituality was the first to investigate the science behind prosperity gospel. “The study’s real novelty is that it’s offering causal evidence of a widespread social phenomenon, going beyond the anecdotal stories of the prosperity gospel,” said Hobson. But don’t think that the effects of prosperity messaging only impact religious believers. Hobson says atheists and agnostics were just as likely to be susceptible to “unrealistic optimism” – as long as the prosperity sermon they watched was masked as a motivational speech. Even when the research team removed all references to God and religion, participants still exhibited increased optimism – meaning the messaging is less about God and religion. “Its success as a growing religious movement might be less about feeling God, and more about feeling good,” said Hobson.